The company that I work for (Philips Innovation Campus), recently celebrated 10 years of operation. The celebration lasted for a whole week. Various fun-filled events were schedules through out the week and we had a grand party on the week end. 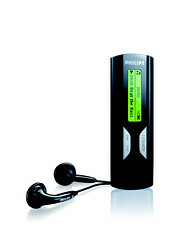 As a gesture of happiness, the Philips management announced to gift all PIC employees with a Philips MP3 player. So today I received my player and here is a photo of the same..